Amazing Crayon Box Steno Machine! Holy floog, this is so freaking cool! 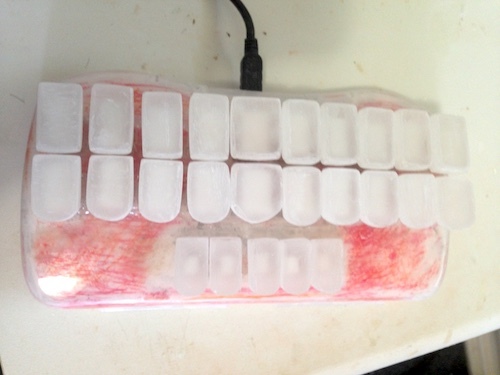 Check out this fantastic DIY steno machine by Escaped Echidna!! Detailed plans and specs here. As I said to her on the Discord when she posted it, it reminds me of the old Altoids tin mini-amp projects that I used to admire back in the day. Just ingenious. I haven't had a chance to write a proper review of the Stenokey yet, so just a short post for today: If you haven't looked at Ted's textbook recently, go check it out. It's still a work in progress, but he's been on fire lately, and has added several excellent new chapters. He's also thinking of trying to find another name for it, so if you have any suggestions that are catchier than "Plover Theory" (which I quite like, to be honest), drop him a line. Heyyy, this is way late, but if you didn't catch the bugfix weekly that was released over a week ago, check it out. It fixes both a problem in Gemini PR protocol that I've been struggling with and a bug in the newest big release that caused the suggestions window to crash, along with support for macros and metas, which you can read about in the release notes. I'll try to stay more on top of this stuff in the future, but better late than never, right? Right! Coming soon: My review of the Stenokey, a beautiful piece of hardware that might eventually find its way to the Plover Store in kit form, if we can drum up enough interest in it. Its inventor sent me a prototype a few weeks ago, and I really love it. Stay tuned for a more thorough report! Since the Sidewinder X4 was discontinued, I've been referring people to the Zalman for a low cost NKRO solution, but if you prefer a mechanical keyboard to a rubber dome keyboard and don't want to spend more than $50, you might want to consider the Plugable. It seems to be selling for around $42 and has Cherry MX switches; it'd probably be fun both as a starter steno machine and as something to hack around with. If you give it a try, let us know, either here or on the Discord! 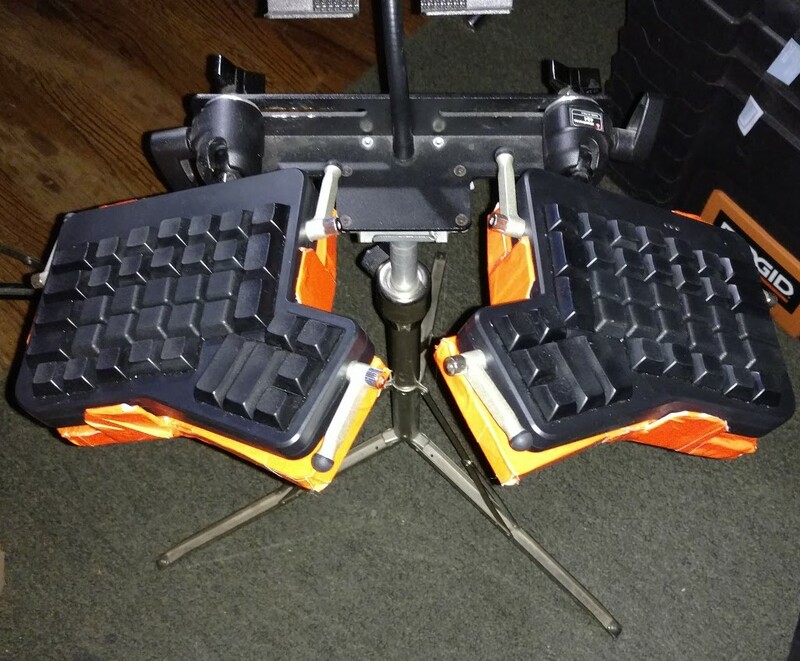 Hey, check out this great post from longtime community member Ty about the tripod rig he made for his new steno-dedicated Ergodox EZ!